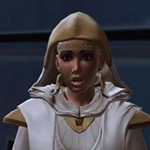 A discussion came up in October 2008 in the Knights of the Jedi Order forum regarding the Rebel Legion organizing "Jedi Training" tutorials at events and parties. Some of you know that Endor Base has done this in the past. Unfortunately, after conferring with Steve Sansweet, the Rebel Legion Command concluded that we can not continue to conduct any kind of lightsaber tutorials in which the children are handed a lightsaber (or even a fake foam saber) and shown how to use it. "Due to legal issues, the Rebel Legion cannot authorize, support, or be involved with any type of saber training classes. The Rebel Legion cannot allow any LFL or Rebel Legion trademarks, logos, phrases, monikers, etc to be involved with any variation of saber training classes. Members will be brought up on charges if they use LFL or Rebel Legion trademarks, logos, phrases, monikers, etc in conjunction with a saber training class. We highly recommend members consider the possible legal ramifications of liability before planning, arranging or conducting any saber training sessions on their own, independent of The Rebel Legion." Essentially, we were told by Steve Sansweet that Lucasfilm can not endorse this activity due to liability risks and trademark infringement. The safety of the children is their greatest concern, and it is also the Rebel Legion's concern. On the one hand, small events on a local basis such as you describe could be fun for the participants. But you clearly cannot use Jedi Academy or Jedi Training Academy or anything else that comes close to our trademarked terms. Using the word “Jedi” in any manner is highly problematic. When Disney does these—or we do them at Celebration events—we use highly trained and disciplined “Jedi Masters” and assistants who know how to deal with nearly any situation that can arise when young children are involved. We simply can’t give you official permission for anything that involves minors for a variety of reasons—safety (what happens if someone gets injured accidentally? ), the fear that parent have regarding their kids these days, the fear or dislike of “weapons,” etc. 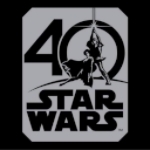 If you went ahead with something on your own, you’d need to steer clear of any Lucasfilm logos, icons, images, etc. We cannot be a part of, or affiliated with, any activity like this on the part of fans. While I fully understand where you’re coming from, and have no doubt that any such activities personally monitored by you would come off without a hitch, there are just too many potential pitfalls to give you any sort of official nod. I hope you understand. It was concluded by the Rebel Legion Command that even if we were to change the name to something that did not infringe on LFL properties (like "Saber Training") that the Rebel Legion did not want to be liable if someone were to accidentally be hurt. Steve Sansweet also makes it clear that if the Rebel Legion had chosen to continue to do any kind of Jedi Training - even by another name - the Rebel Legion could not have any sort of Licensed LFL images associated with it (this includes the rebel bird logo which is now part of the Rebel Legion logo with LFL's permission). This is partly why even if one of our members decides to do training on their own they can't be giving out our tattoos or hang our banner at the event in close proximity to the training area. Much less mention that they are part of the Rebel Legion because the RL can't assume liability for the training. The good news is that we have a fun alternative we can offer parents. We can still offer to give lightsaber demonstrations and have our Jedi talk about the ways or the force and what a lightsaber is used for (DEFENSE - please refrain from using words like kill and attack.). We just can't be playing with a child who is holding a lightsaber showing them how to swing it or conduct a mock duel with them. We can still pose with children who have lightsabers, and we can do mock duels with other Rebel Legion or 501st members as demonstrations. Please note, that simply being a member of the Rebel Legion does not mean you can never participate in Jedi Training. It simply has to be a very specific approval or request from Lucasfilm to conduct this sort of activity on an event by event basis - and we do not have a blanket "OK" to organize and conduct these sorts of events on our own. One example is Obi-Shawn who is a Rebel Legion and 501st member. He has obtained specific approval on an event by event basis to act as a Jedi Trainer. It is usually Lucasfilm who seeks and requests his participation/services. He has a script approved by Lucasfilm, and in turn, Lucasfilm has approved on an event by event basis Rebel Legion training assistants to demonstrate the stances that Obi-Shawn teaches. Two such Jedi Training events that Endor Base members had LFL OK to assist with were the Clone Wars Boys and Girls Club premiere event at Lucasfilm, the other was the Zeum Clone Wars event at the children's discovery museum in San Francisco. I was wondering when LFL would come out with this...I've heard of other bases doing this event and I've always wondered about the legal consequences of it. Anyway, I like the alternative because it will allow the RL to demonstrate what a Jedi is truly about. Granted the sabers are cool, but they really are toys (expensive at that) and not meant for dueling, especially with kids. Yeah, thus far I see no reason why we still can't talk about our characters and the parts of our costume, including a lightsaber. The kids at the Boy Scout event were plenty impressed by a demonstration alone showing how the saber makes noises, some of the basic moves a Jedi does in defense - etc. (The demonstration was by a non-legion member, but a Legion member could have done the same thing just as easily). Mos Eisley Base did a great presentation at Phoenix Comic Con this year. A choreographed duel, lessons to the children, and an appearance by Ventriss! I think Joel (Lord Parsec) has a video of the event, and he was the coordinator, so if you need help putting something together, he's the man to ask! It was great fun to watch. Haha... no sorry Matt. I didn't mean it in the political sense. I get the joke though. Glad you can laugh about it! I also thought I'd add, there are some specific individuals that Lucasfilm has given OK to doing Jedi lightsaber tutorials - and they just happen to be Rebel Legion members. Some of you met Obi-Shawn from Southern California and worked with him at the Zeum and the Clone Wars premier! So it is not that being a Rebel Legion member flat out prevents a person from ever doing Jedi training. Shawn has a relationship with Lucasfilm, they have approved his script, they have seen his work, so he is someone they specifically gave approval to and call on to do Jedi training academy with kids. So that specific individual LFL approval is the only sort of exception to the rule - and a pretty rare and special one! My understanding is that the idea is that as a group, Rebel Legion does not have a blanket 'OK' to do Jedi training. LFL seems to have specific people who are approved for this function independent of any affiliation to a club. We are lucky that Shawn is a Rebel Legion & 501st member and enjoys working with our members at events were he's asked to appear! This YMCA class came to my attention through the main Rebel Legion forums. It seems that the YMCA in San Jose is hosting some sort of Jedi Training event. I let Donna, our LXO, know that as far as I'm aware, we don't have any Endor Base members offering this service at YMCA or being paid to do this. We have not officially been contacted by YMCA to participate either. I'd say that if someone in our Base is doing this training (I really doubt it) to cover yourself and remain in good standing with the Legion (and Lucasfilm) you should make sure that LFL is OK with you doing it. This is what Shawn Crosby "Obi-Shawn" in Southern California has done, since he does do some Jedi training events from time to time. If our members were wanting to volunteer for this event as representatives of the Rebel Legion, we'd have to get OK from LFL (Mary Franklin) to do it in our costumes as RL representatives in order to avoid breaking our legion rule of the Rebel Legion does not host/offer Jedi Training. If you are doing this sort of event on your own time (or as a part of another Star Wars club you may belong to), please remember that Rebel Legion can not be mentioned, no items given out with any kind of RL logo (like your trading cards, our tattoos, etc) and you are representing yourself only. Though we strongly advise that our members refrain from lending services for things that LFL does not approve of, we can't tell you what you can or can not do on your own time. This YMCA class came to my attention through the main Rebel Legion forums. I wish we had a spy who could attend and see just what exactly they are teaching. That's a hefty registration fee! It seems like since Disney has had that Jedi training academy requests for jedi training/lightsaber dueling has really increased (like most of the bday requests!). I meant to clarify, when I say 'doing this training' I mean actually acting as a trainer for YMCA, not a paid attendee bringing your kid. You can obviously pay to attend any sort of event you all want to, lol!